There is a kernel of truth to the saying that “Love begins at home, and it is not how much we do but how much love we put in that action”. This is exactly what I envisioned when I found out that this home at 19 Jefferson Ct. South Saint Petersburg FL is for sale. This beautiful 3 bedroom, 3 bathroom property was built with love and turned out to be delightful and inviting. You will notice that the distribution of lights are well-thought out once you enter the living room. Without proper lighting, the impact of all the other details like the luxurious wood furnishings, opulent flooring, and the calm white walls would be lost. Getting the lighting right is necessary, if we are to make the most of our homes I’m glad that it’s one of the best assets of this townhouse. This fenced-in home for sale in Saint Petersburg will welcome you in the foyer through its french door. Through the glass, you will see the stairs that lead you to the dining area. Inviting your friends over will not be a problem since there’s enough space for everyone to lounge and share an afternoon of laughter and fun. There are two living rooms, the kitchen/family room combo has a room for a sofa set and the living room has space for a more intimate setting. These living rooms of this townhouse at 19 Jefferson Ct S are the best place to share a nightcap, meaningful conversations and family meetings. If you would like to enjoy more fun with friends and family, take a look at the spectacular clubhouse, that overlooks a 55,000 gallon geothermal heated pool and 4,500 gallon geothermal heated spa. Spa-inspired atmosphere right in the comfort of your home! Light & airy with vaulted ceilings and plantation shutters, and beautifully tiled floors throughout, this townhouse will give you the Zen atmosphere that you long for at the end of each day. You can even add a La-Z-Boy chair in the living room, where you can put your feet up and ask your loved one for a massage. Remember, what makes a house a home: the love you create with your family. Houseplants make the best interior designs! Have you noticed house plants everywhere? They complement the the entire area, including the dining room. Good health never goes out of style and the plants inside this home in Jefferson Ct S clean the air to help you breathe and work better, too. The influence of plants helps in your concentration and memory retention up to 20 percent according to a University in Michigan study. You will see plants draping all over the dining room. Meals will be enjoyed with a room for a 6-seater dining table. Accented by a sparkling chandelier with a wide wall mirror you have the illusion of a wider room. The importance of the heart of the home: an awesome kitchen built just for you! This Saint Petersburg home for sale is spacious and meant to impress with its kitchen island, closet pantry and built-in desks. Plus you can always enjoy healthy meals on the breakfast bar. Time to unleash your baking skills and use the built-in oven. This city is also known for its top-rated restaurants. You can always go out, not just in Saint Petersburg but also to its neighboring cities, like Tampa and Sarasota, which are both only a few minutes away. 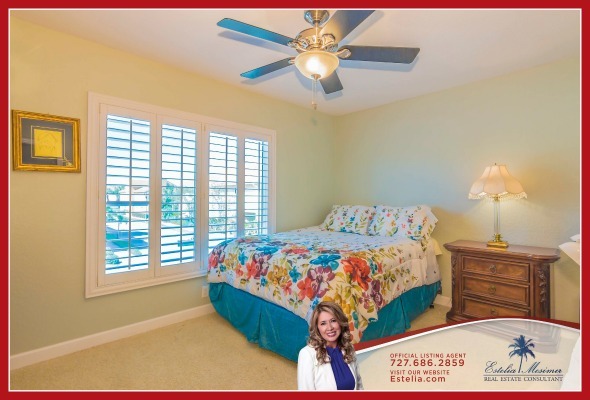 Brickstone flooring, windows with plantation shutters and ceiling fans are all yours to enjoy in the master suite. It is evident that the entire house excellently blends the lighting with the sun. Enjoy a worthy good book to read by your bed, before retiring at night. Whether it is for leisure, reading or a study corner, this part of the house is perfect for meditation or just to clear your thoughts. This carpeted bedroom can be for one of your growing kids or you can convert it into a guest room. You can get a good night’s sleep in this room. This townhouse also features a split bedroom. How awesome is that?! What’s a lovely room without a state of the art bathroom? This house is equipped with 3 full bathrooms. The dual sinks, garden bath, and tub with separate shower stall located in master bath are all spot on. After spending your weekend in the community’s state of the art fitness center with Precor® equipment, complete your day and enjoy a bubble bath. A powder room connected to the master bathroom is well lighted and furnished with embroidered hand towels. This room feels like a five star hotel setting, if you ask me. A rec room to watch your favorite films! A rec room or an entertainment room are now essentials to every home. Great for holding small gatherings or to enjoy a movie with your family, this is the place away from the main living areas of the house. Go crazy by setting up a projector or when you need to celebrate anything, sing your heart away in this area. The blue velvet sofa playfully matches the yellow walls. This room will surely lift your spirits up! This room has an open concept floor plan giving this room endless possibilities. Some of your family members may be busy and don’t have time to drive to the fitness center, so you can turn this into your home gym. A few weight plates and a medicine ball and you’re good to go! Swim the heat away on your pool patio! 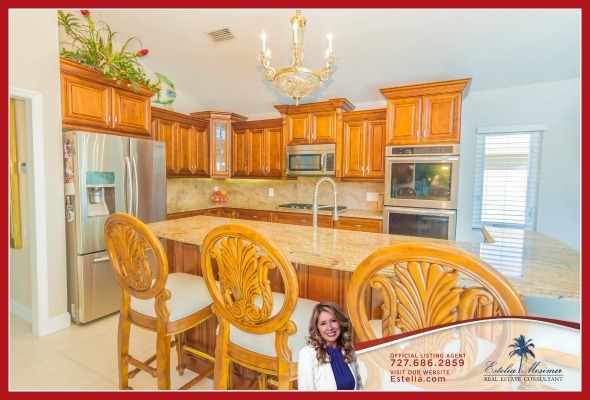 There’s more, aside from its corner lot location, this home for sale in Saint Petersburg is the only one with a garden, an in-ground pool with waterview & screened lanai. The outdoor oasis is perfect for resting your mind, and the best place to regroup for each new week. Your home is 2,330 sq. ft and just a few steps away, there are also two community pools and two hot tubs. There is also a spectacular clubhouse overlooking a 55,000 gallon geothermal heated pool and a 4,500 gallon geothermal heated spa. If this is not celestial living, I don’t know what it is. It’s simple yet elegant looking. Dramatic street lighting and signage – your own exclusive personal landmark! This community of townhouses, condominiums and row homes have also 60 acres of tropical landscaping with spectacular water features and fountains. Within the area is the deep water floating concrete Marina with 30′ to 50′ slips available; easy access to the Gulf of Mexico with no bridges. There is no doubt this is a great location for boating, fishing and diving with in on-site fishing pier and fish cleaning station. The community also has controlled and well maintained landscaping. 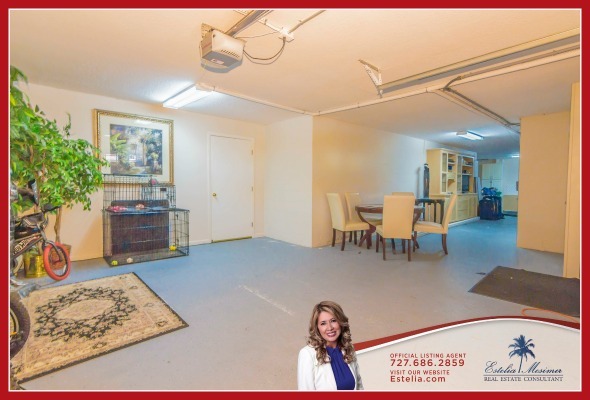 With all these unbelievable features and amenities, this townhouse can be yours for ONLY $725,000. I have inside access to assist you in the purchase of this home, for you and your family. I hope you won’t let this rare chance pass! 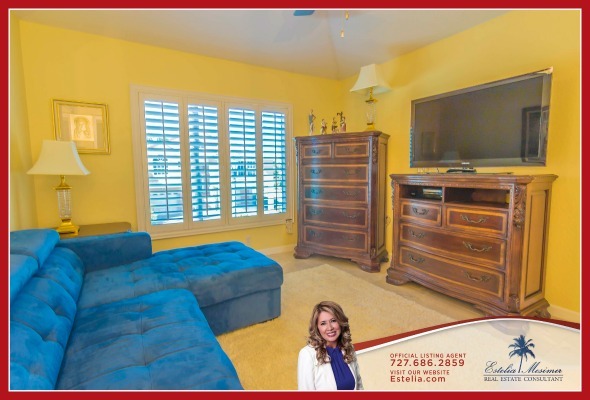 Call me, Estelia Mesimer, today at 727-686-2859.